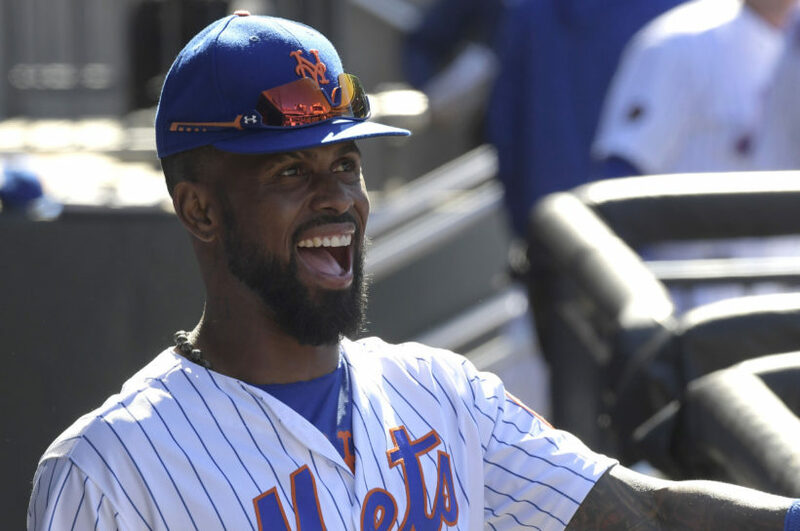 (By Kevin Kernan, NY Post, April 4, 2018) NEW YORK — Jose Reyes was the happiest player in the Mets’ clubhouse [on April 4th] after the 4-2 win over the Phillies at Citi Field. Earlier in the day, Reyes and wife Katherine were sworn in as American citizens at the U.S. District Court in Central Islip. “I passed the test before I went to spring training and I became a citizen today,’’ a beaming Reyes, 34, told The Post in a quiet corner of the clubhouse. “It means a lot. I love this country. I had the opportunity to spend a little time with the judge [Wednesday].… To see all those people there becoming citizens, there were like 200 people sitting there, it was really something special. It means a lot for me and my wife,’’ continued Reyes, a four-time All-Star who is a backup infielder on this Mets team and only has had three at-bats so far this season. 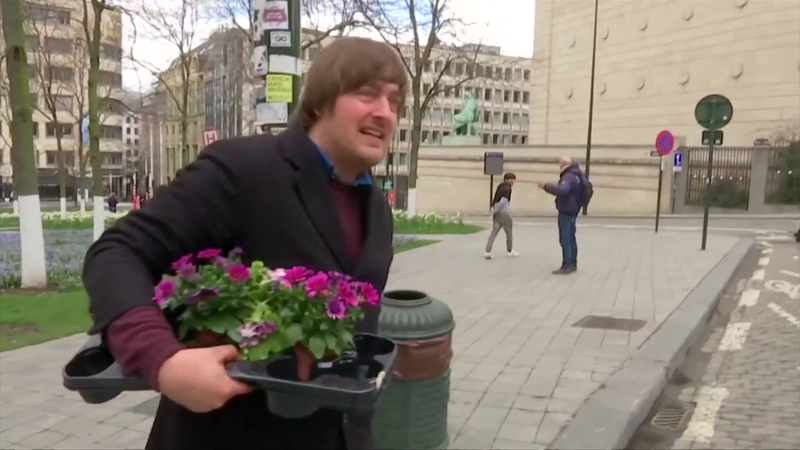 “It’s been a long time living here. We are Dominican 100 percent, but we live here and we spend so much time here and my daughters they are born here, so they are American. I have to be proud of that too. “I see myself when I retire living here. I don’t see myself going back to live in my country. This is my new home. There is nothing wrong. I will visit family and stuff, but this is home. “Now I am going to have a blue passport,’’ Reyes said proudly. “It’s different when you have a green card or a visa, now I have a blue passport, now I don’t have to worry about anything. This is a big day in my life for both me and my wife. 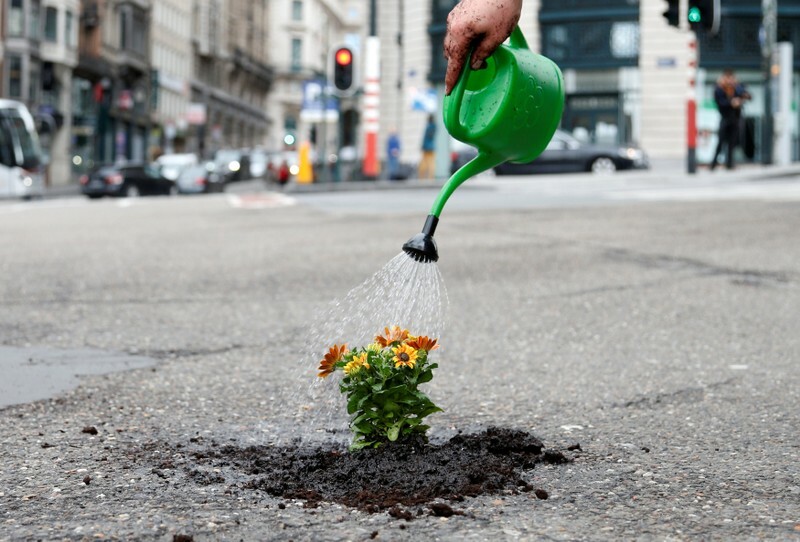 (by Robert-Jan Bartunek, Reuters, April 6, 2018) BRUSSELS – A Brussels man has begun planting flowers in potholes across the Belgian capital to highlight what he says is the sorry state of many of the city’s roads. (British Forces Network, April 4, 2018) GERMANY— A massive bomb dropped on the German city of Paderborn in 1945 by the RAF has been defused after one of the largest evacuations of its kind. 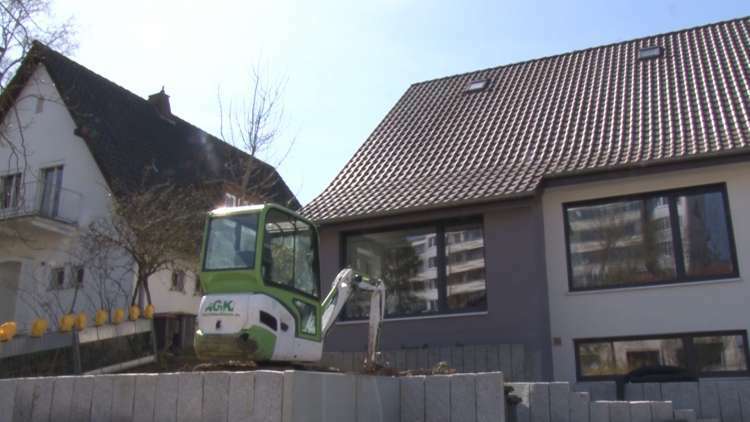 The 1.8-ton so-called ‘Blockbuster’ bomb was originally found in a garden during construction work near Paderborn University in March. 26,000 people had to leave their homes so specialist teams could work on the the device. The 1.8-ton so-called ‘Blockbuster’ bomb was originally found in a garden during construction work in March. Paderborn Police spokesperson Uli Krawinkel said the discovery has caused a great deal of disruption. Anyone living within a 1.5km [.9 mile] radius had to leave. Four hospitals, five retirement homes and a hospice were cleared, along with part of the British Army’s Barker Barracks in the south of Paderborn. More than a thousand police and emergency service personnel were involved in the operation. Bomb disposal specialists spent more than five hours working on the device before it could be moved.